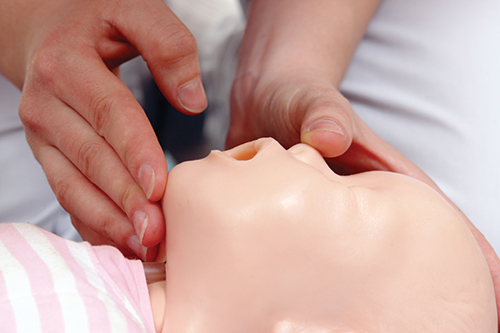 This class provides information about basic infant and child CPR skills, including what to do if an infant or child is choking, and basic infant and childhood injury prevention. Each person will practice CPR techniques on infant mannequins and participate in a discussion about safety. Partners are encouraged to attend. If you miss your class, we are able to provide you with the information you have missed consisting of handouts and printed copy of the presentation slides for you to pick up onsite. We do not offer refunds at this time, as payment provides those pre-ordered materials for each registration. Questions may be directed to deliverme@lifebridgehealth.org.